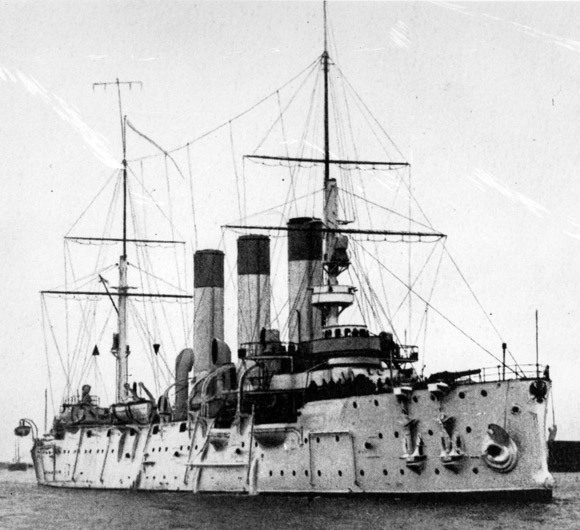 Aurora saw her first action at the battle of Tsushima during the Russian-Japanese War in May 1905. 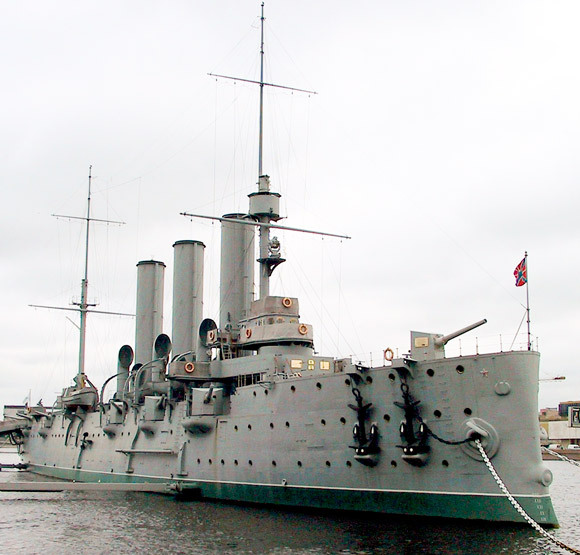 During World War I, she took an active part in naval actions in the Baltic Sea. In 1917, she played a central role in the Bolshevik Revolution and the Civil War repulsing international intervention. From 1922 to 1940, the cruiser served as a specialized ship for training. In 1924 she was awarded the Red Banner of the USSR Central Committee and in 1927 was decorated with the order of the Red Banner. For the entire period of the Leningrad siege in World War II, Aurora served as an anti-aircraft battery, being constantly shelled and bombed, and finally sunk despite the heroic efforts of her crew. She was raised in 1944 and drydocked for repairs. From 1948 to 1956, she was employed as a naval training ship. In 1956, the cruiser became a museum. Since that time Aurora has hosted more than 28 million visitors. In July 1992, the Saint Andrew Naval Banner - the symbol of Russian naval power - was raised over the ship again.